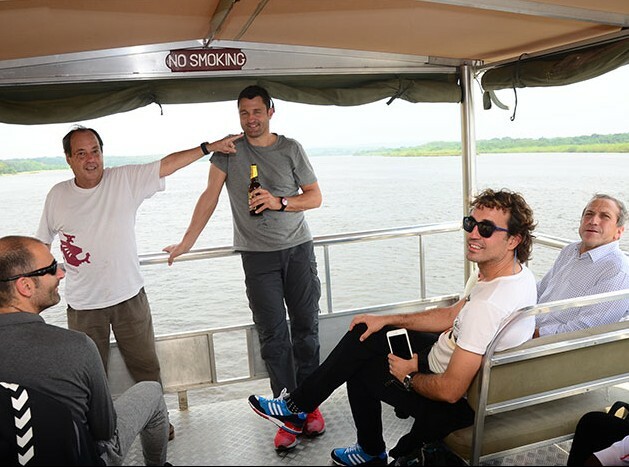 Members of Parliament lashed out at the Uganda Tourism Board (UTB) for what they called the failure to promote Uganda as a tourist destination. UTB officials led by the chief executive officer Stephen Asiimwe and head of marketing Edwin Muzahura appeared before Parliament’s committee on Tourism, Trade and Industry on Tuesday to make a presentation on activities and strategies being undertaken by the board. Asiimwe told the committee that the board has to operate within a budget of only Shs 11.4bn, money he said is inadequate to execute its plans. He noted that the board needs to carry out training exercises for tour operators, guides and hospitality staff across the country as well as continue with marketing Uganda abroad through foreign public relation agencies. Asiimwe also criticized the continued levy of 18 percent value added tax (VAT) on hotels upcountry as having a negative toll on the sector. “There is still a challenge on upcountry accommodation. Government has been charging 18 percent VAT. Now, what happens there, is that, every time a visitor comes to a hotel in an upcountry facility where the majority of the leisure tourists go, the VAT is put on the visitor. Then they pay more money, the experience is more expensive and you become less competitive. The issue of national carrier is still very critical. By last week, getting a ticket to Kenya was $800”, he said. However, some MPs on the committee dismissed the presentation as merely ‘cosmetic’, containing no concrete and viable strategy to increase tourism revenue. The legislators insisted that funding was not the major setback dogging the board. Moses Balyeku, the Jinja West MP, told UTB officials to be more creative and bring in more money to the country. “Government can’t keep [on] giving you money all the time, it is not there. You need to be more enterprising. Get your own money. UWA [Uganda Wildlife Authority] makes its own money. You have a board member here from UWA who sits on your board. What value does he bring on your board. What value does hotel owners does the hotel owners bring on your board? You first market us as Uganda, as a tourist destination and brand us. The reason why we have been singing all these years is, the other time we spent money on CNN that we are marketing Uganda in a wrong way.”, he said. Dokolo county MP Felix Okot Ogong criticized the board for presenting the same challenges to the committee every year without ever finding solutions. “I find a problem with the tourism board here. They are into other things but not focusing on what should promote tourism. I think this time, we should do it differently. You have Shs 11bn. Most people don’t have those billions of shillings but how efficiently are you using it? Is it being effectively used to promote what we are saying. The problem actually to me, [committee] chairman, lies with the board”, he said. 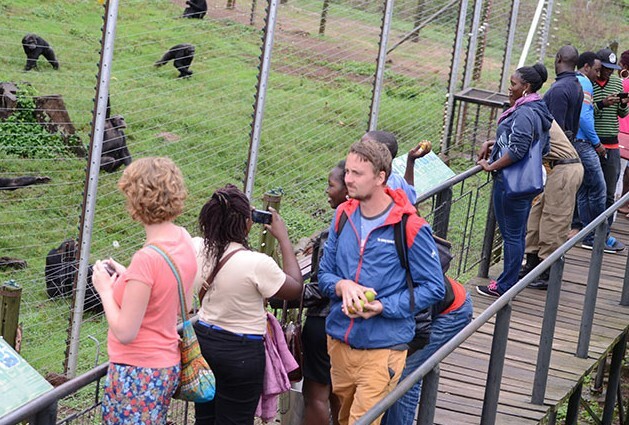 But Asiimwe insisted that Uganda had the best tourism master plan on the continent and stressed that the sector had the potential to fund the nation’s entire budget. He however noted that there needed to be a fundamental shift in priorities and attitudes as far as tourism is concerned. “If you read the UTB tourism master plan, it is a 10-year fantastic paper, countries are clamoring to own it, countries are dying to own it. In terms of what it takes to market this country, we have but we need a fundamental shift in the way we look at its products. And I really insist, this thing needs to be taken beyond just the committee but of course the committee can spearhead this and we fundamentally look at tourism as a very important sector”, Asiimwe said. Despite underfunding, in FY 2014/15, sector contribution to Gross Domestic Product (GDP) increased to Shs 6.3 trillion (9 percent of GDP) up from 5.6 trillion (7.9 percent of GDP) the previous year. In the same period, the number of tourists increased from 1,206,334 visitors in 2013 to 1,266, 046 visitors in 2014. UTB attributed this to better marketing strategies.